As a customer with DriveNow, you have easy access to hundreds of cars in and around Copenhagen – directly on your phone. With the DriveNow app, you can find and reserve a car, open it and drive directly to where you want to go. When you have parked the car correctly, you lock it and end the trip in the app. Just as easy as that. You can choose between our BMW i3, BMW 1 Series or 3-door or 5-door MINI Cooper. You find the cars everywhere in the DriveNow Zone within greater Copenhagen. The standard sign up fee is DKK 89. You get 30 bonus minutes for your first trip when you sign up, giving you time to get comfortable with the cars and learn how to drive our cars without paying for the first half hour. 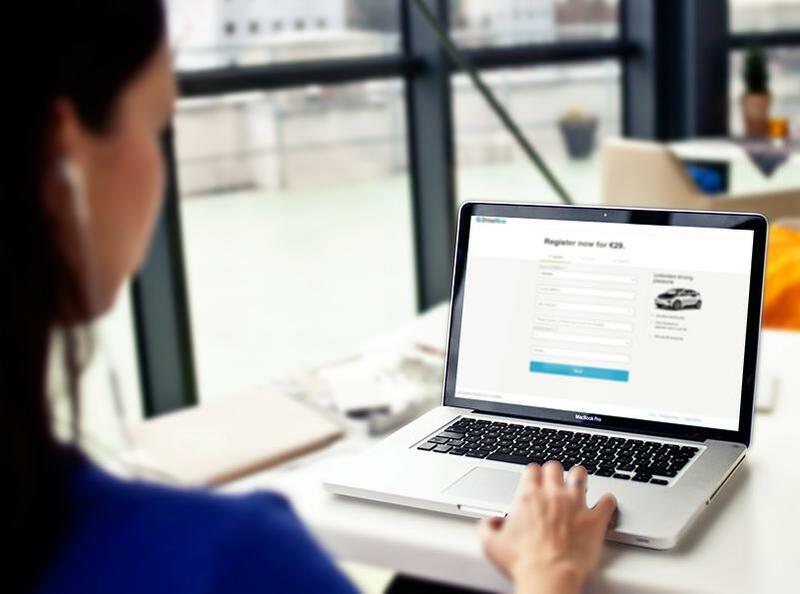 You complete the registration in our app, where you need to upload images of your drivers' licence. We verify your licence as quickly as we possibly can and send you an email when you are registered. After that, you are then ready to drive. Use the app to find and open the cars. Sounds good? Register and download the app! The DriveNow app will display every car in the DriveNow Zone. Select the car you want, and reserve it. You have 20 minutes to get to the car. You are able to prolong the reservation if you need to. On the way to the car, you can set the route planning in the app, reduce your excess, buy Hourly Packages, Prepaid Minutes or Savings Packages. When you get closer to the car, you can open it from the app as well. All our cars can be opened from a distance with the app - reserve the car first, and then swipe the "Unlock car"-icon when you're less than 150 meters from it. The app will let you know when you can open the car. When you are next to the car, you must check for possible damages before you start your trip. You can see any existing damages in the app, and you are obliged to report new damages to us. Enter your DriveNow PIN in the app, press the brake and start the car by pressing the START/STOP button in the car. Use the grey handle next to the START/STOP button to drive. Choose”D” for drive and ”R” for reverse. 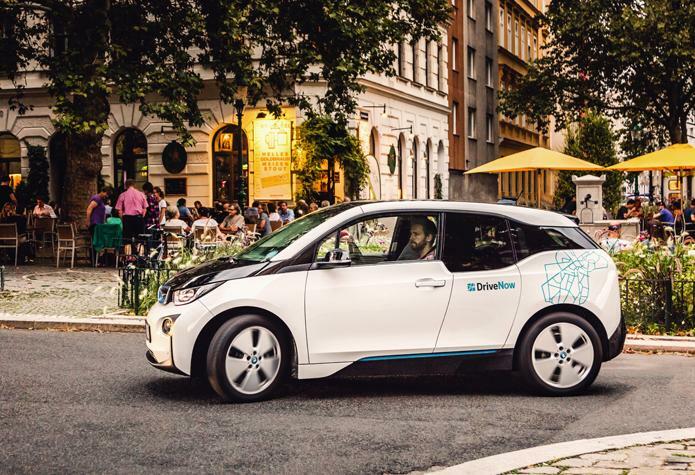 Read more about BMW i3. Both models have automatic gear that is placed between the seats. Choose ‘D’ for drive and ’R’ for reverse. Read more about BMW 1 Series and MINI Cooper. Need to take a break during your trip? You are able to park up your car, without giving it back. Simply park the car, get out, and choose "Park and keep" in the app. Wait for a couple of seconds, until the doors lock, and the LED light turns red. The price is the same as when driving. You unlock the car in the app when you need to continue the trip. The rental rate for "Park and Keep" does not apply between 23.00 and 07.00, Sunday night to Friday morning. Tip! You do not have to be within the DriveNow Zone in order to use ”Park and Keep”. It is only when ending your rental, you need to be within the DriveNow Zone. Park the car following our parking guidelines and swipe to lock the car. When the light turns green, your trip has ended. If you started the trip with your physical card, you will have to end the rental the same way. Place your card on the card reader in the front window, remove the card and wait for the light to turn green. You will always have to follow our parking guidelines when ending your rental. It is your responsibility to make sure that the car is parked correctly. The Copenhagen DriveNow Zone stretches all over main Copenhagen, from Hellerup Station in the north to Copenhagen Airport in the south. It also includes satellite areas such as the hospitals in greater Copenhagen, Høje Taastrup Station, Dragør, or DTU. 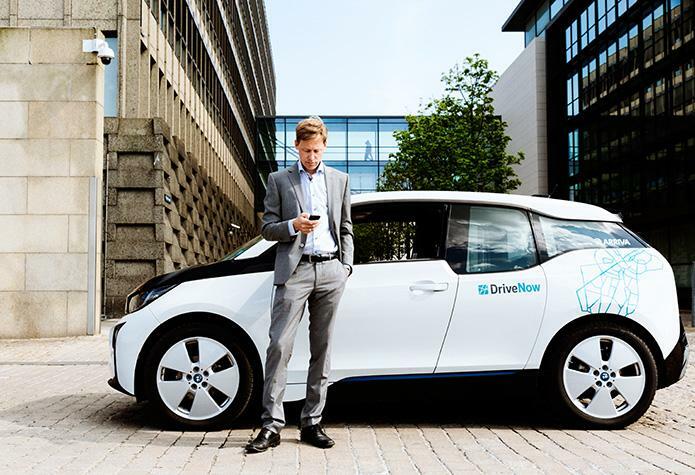 DriveNow gets you to and from Copenhagen Airport with ease. Our parking spaces are located at P7, just a few meters from Terminal 3. Use the parking card located in the armrest between the seats to gain access to P7. A service fee of DKK30 applies when you start or end your trip at the airport. You do not pay for parking spaces when you end your rental, but you have to be aware of where you park the car. You can leave the car at all public spaces with a time limit of at least two hours, where you would normally pay, but you cannot leave it on private parking spaces, car sharing spaces, and taxi spaces.